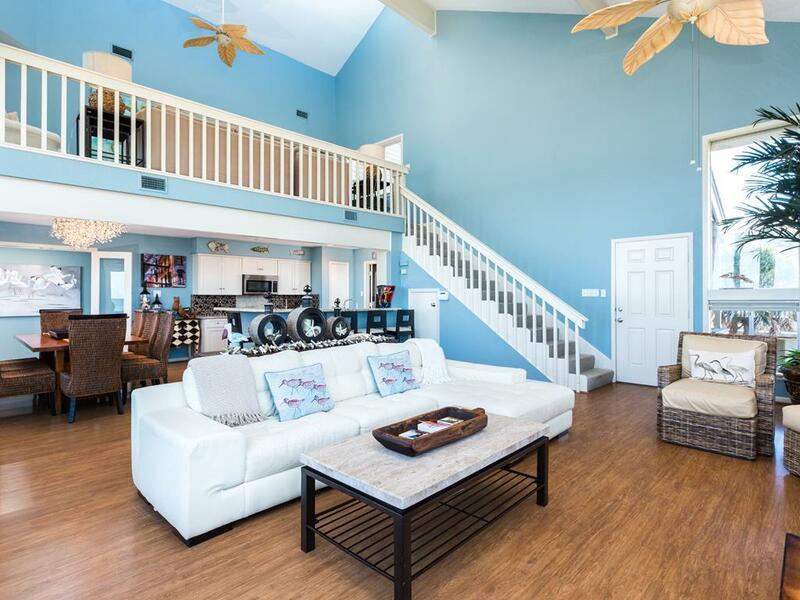 6 decks, beachfront Gulf views, 2 living areas & 4 bedrooms with private baths & covered decks! 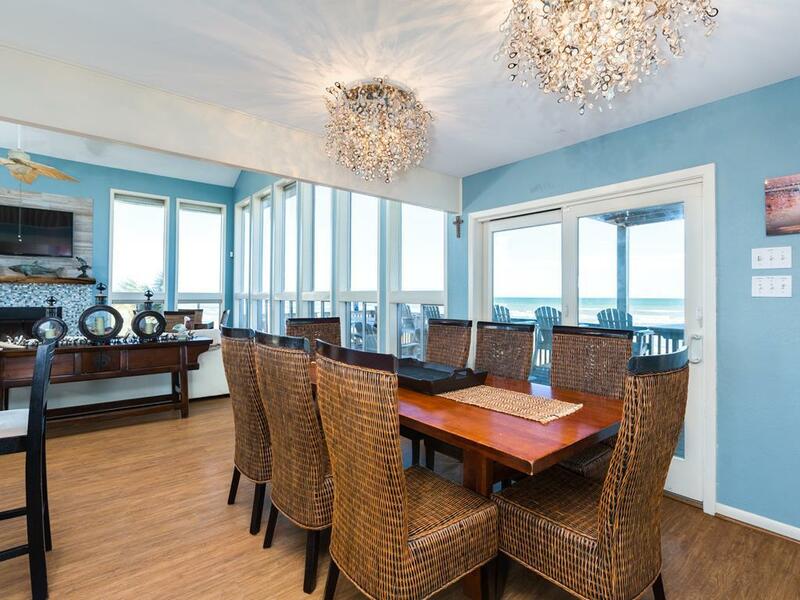 Beachfront living at its best, this vacation rental is perfect for couples or families. 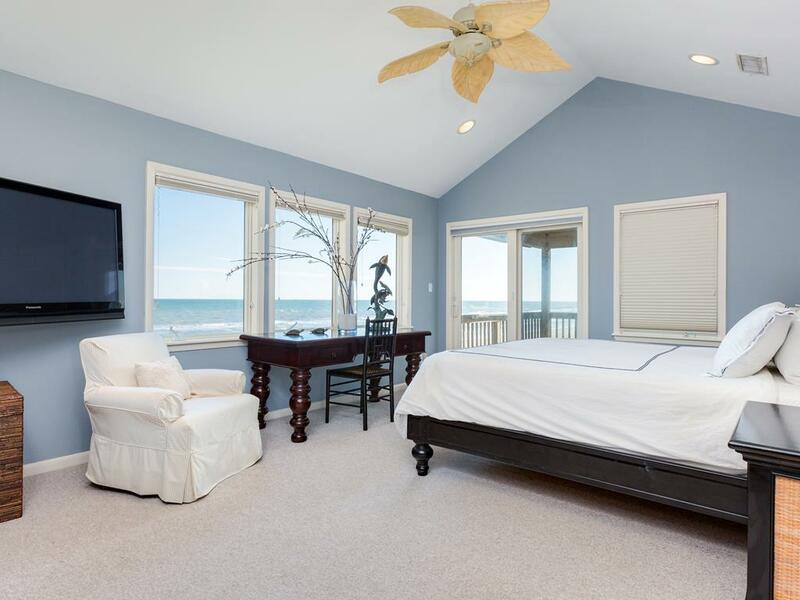 Every bedroom has an en suite full bath plus a private deck – and two of them have deck access to 2 decks! 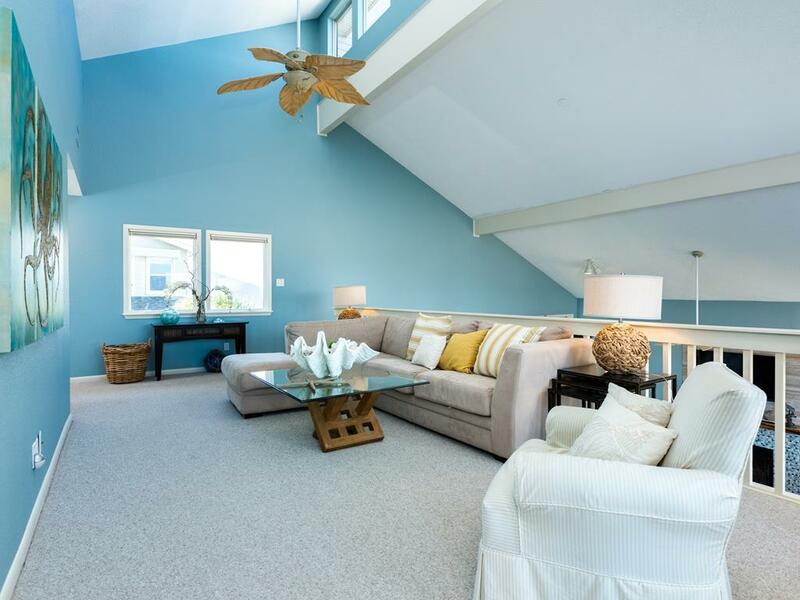 Soaring ceilings easily accommodate two living areas, and the fireplace on the main level is perfect for off season visits. 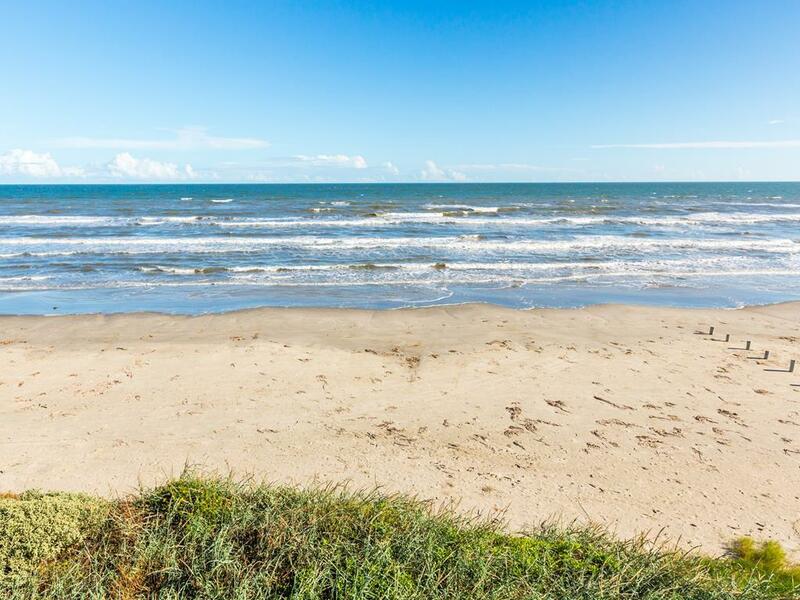 Bring your family to this Galveston gem soon! Excellent house for three adult couples with children. 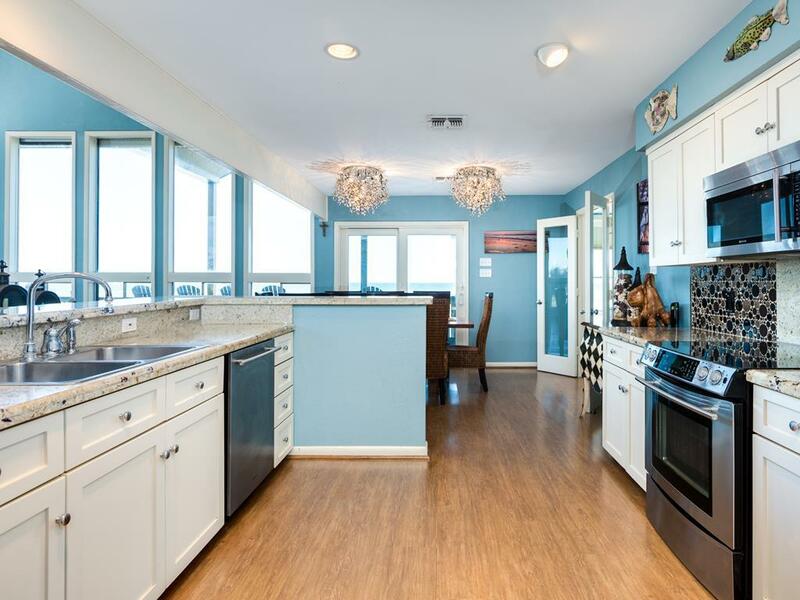 Layout else excellent for family gatherings, with large dining area, very good kitchen, well-appointed for group cooking. 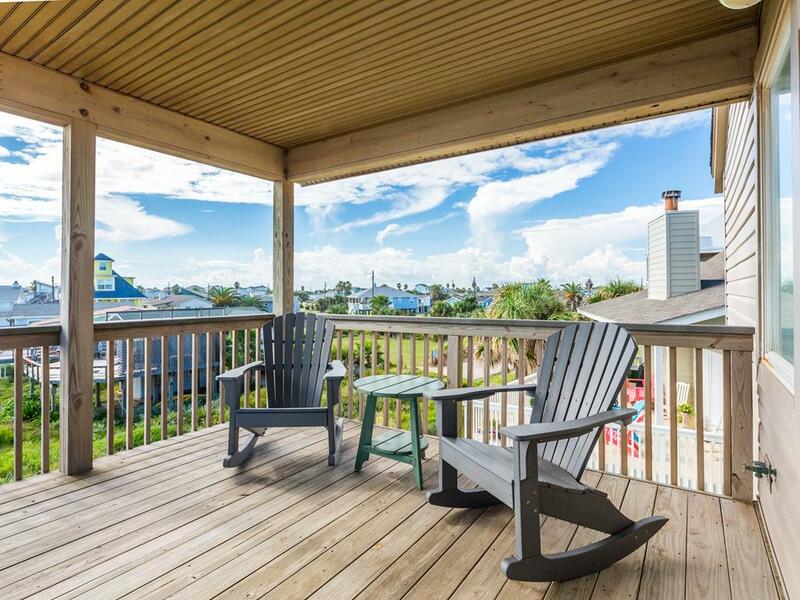 All rooms have excellent views and decks. Highly recommended! 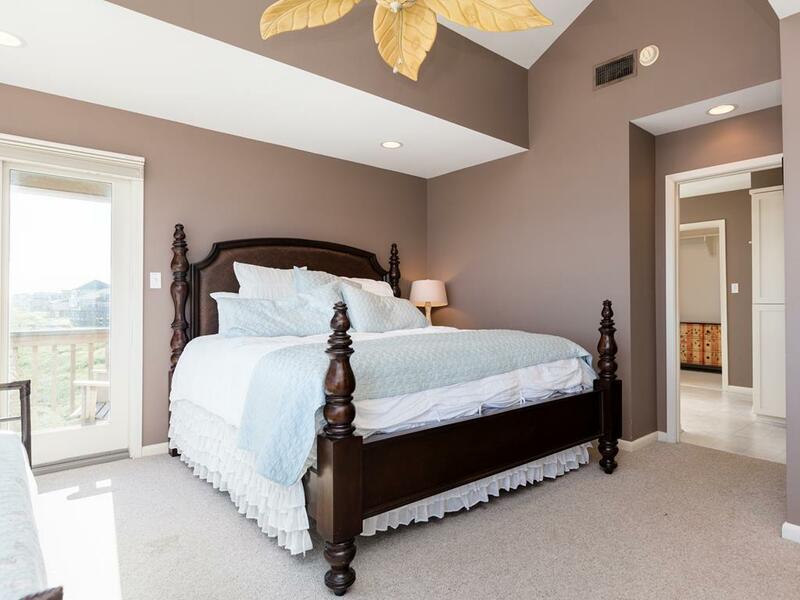 This is an older home compared to some others in the area, however - the location, along with the layout and large size of bedrooms and bathrooms just can't be beat. The house is for sale, and we hope that any new owner will keep it in the rental program. Our extended family is always comfortable here so we hope to be back again next year! Family has booked through Sand N Sea numerous times and we can always count on the property being as advertised and the service great. The house was perfect for accommodating a large family. 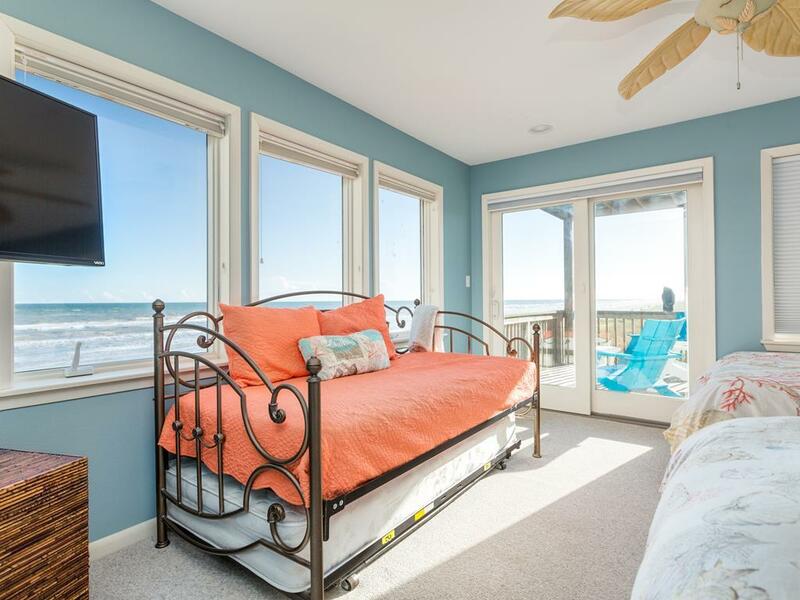 Everyone had their own bedroom and view of ocean. Bathrooms were plentiful. Kitchen was very well stocked. Great property! Enjoyable stay being right on the beach. Comfortable beds. We'll be back for sure! Yes! We have been long time renters with Sandnsea. It has always been a great experience. House fit all of our requirements. Good location. Very comfortable for big family. Only disapointment [for winter visit]: non operative fireplace! We are so glad you enjoyed Sandy Knoll! The wood burning fireplace at Sandy Knoll is fully operational and ready for guest use - we apologize for any confusion. We had a fabulous time. We went there for my husband's 50th birthday and he had an amazing time!!!! Wonderful home- our family was blessed beyond measure! Size and location of the house are perfect for our extended family. We plan to come back again next year, only suggestion would be to replace the pyramid bunks - metal frame very squeaky! 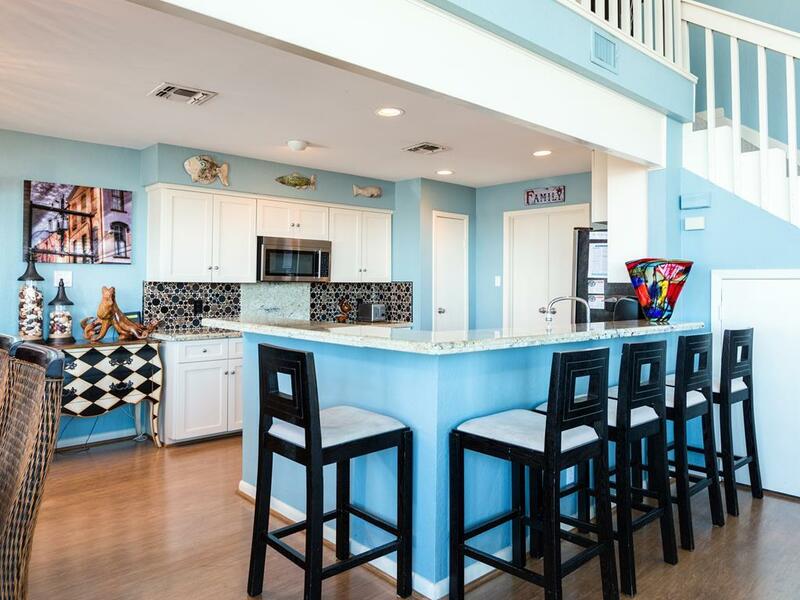 Very well equipped and perfect for a large family, with the beach right out the door. Beautiful property with lots of space, porches, bathrooms and living space. Decorated beautifully and it felt like a real home. 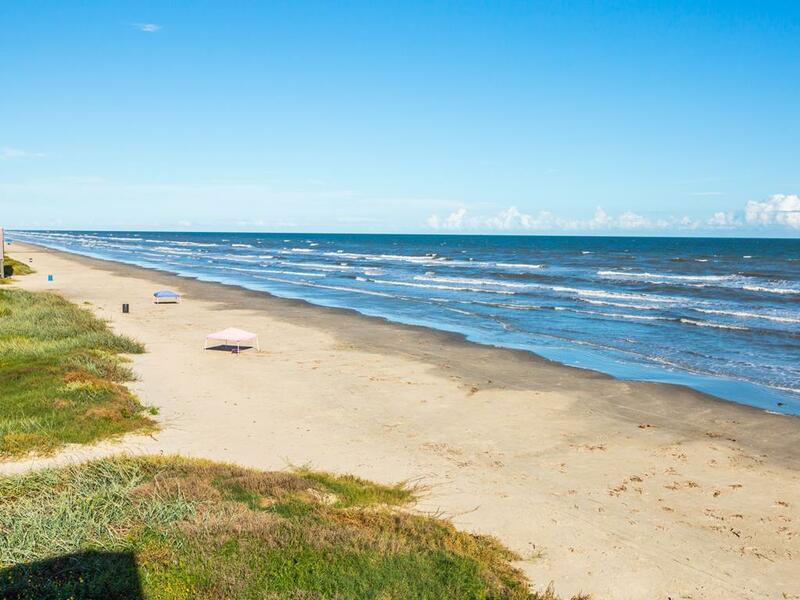 Sandy knoll is a beautiful place to stay. We really enjoy staying there it is a great place to spend time with family. We highly recommend this place, we are going back next year that will be our 3rd time there. what a joy this house is. We spent more time on the deck here than any other house due to the great deck furniture.We finally had enough bathrooms and the bedrooms all had ocean views. The house was great for our family. Each bedroom having its on bathroom gave everyone the privacy they needed. We also appreciated the extra refrigerator. This house has become one of our favorites! perfect spot for walking on beach or just looking at the ocean. Our favorite home for years was Palmetto but our family outgrew it. We have been looking for a couple of years for a new house to meet the needs of our growing family. Sandy Knoll is it! This house offers great privacy for several families staying together. 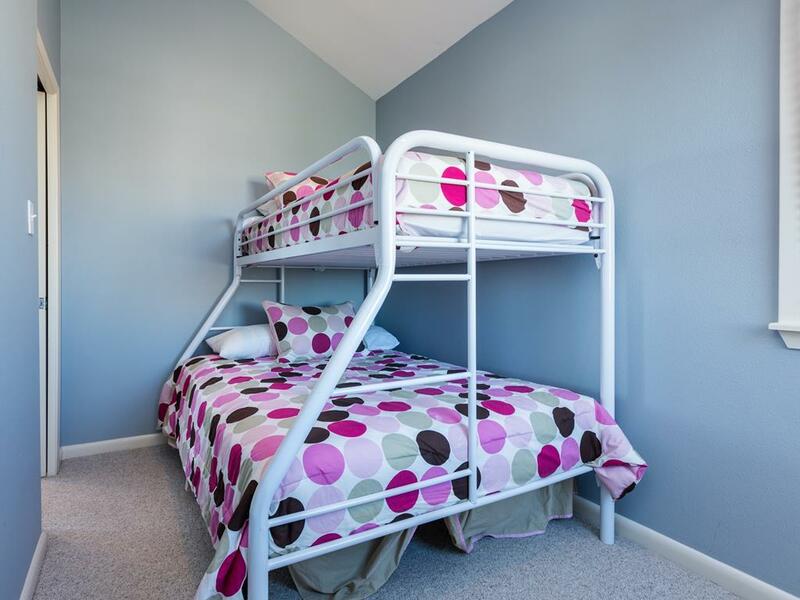 There is plenty of living space which is helpful when you have 6 children ages 6 and under in your group! We have already booked for next summer! 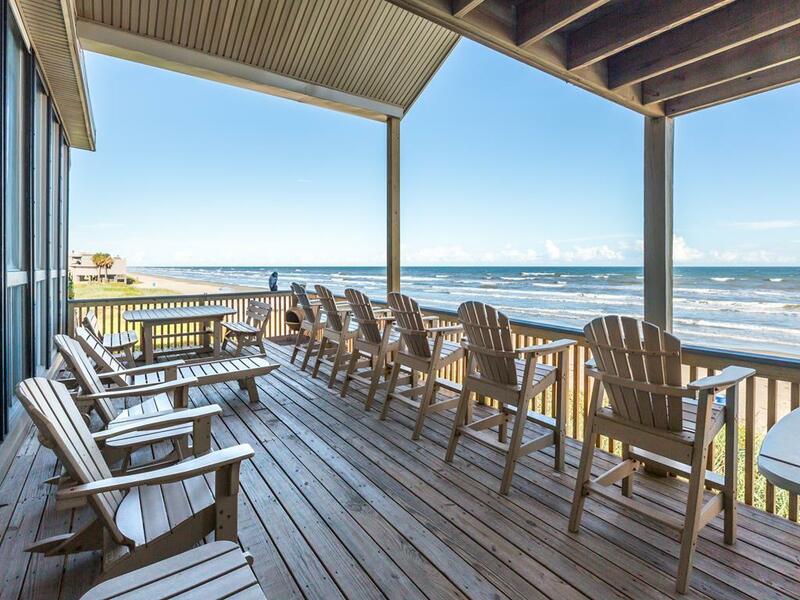 Our recent stay at Sandy Knoll couldn't have been better. Fourteen of us gathered to celebrate our son's 50th birthday. 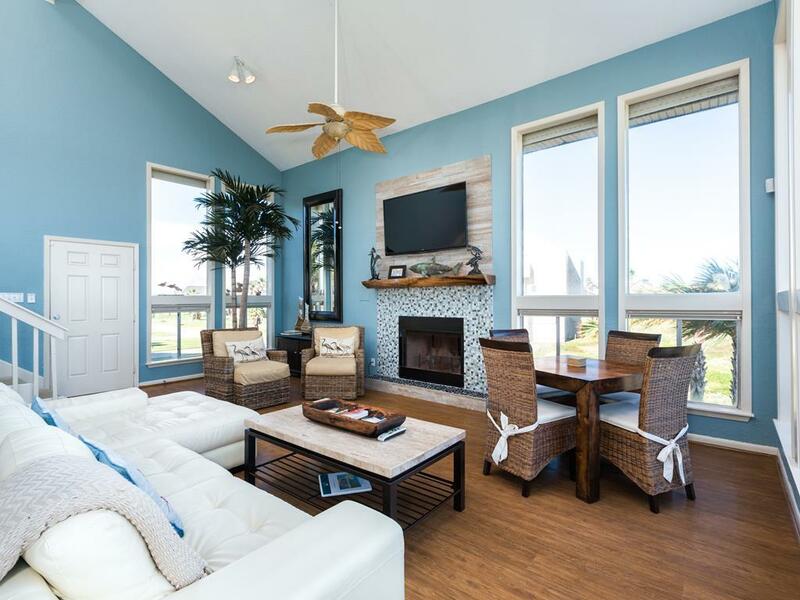 Every aspect of the property exceeded our expectations including: location and view, furnishings (awesome deck chairs), decor (beautiful paintings), kitchen supplies (great pots and knives), and maintenance was speedly and efficient. Thank you for making our celebration so enjoyable. We will be back!! I have Great Grandchildren and I could sit on the deck and watch them playing on the beach and that was great. They all cried when they had to leave so I know they had a Great time. The decor of the Sandy Knoll is outstanding. 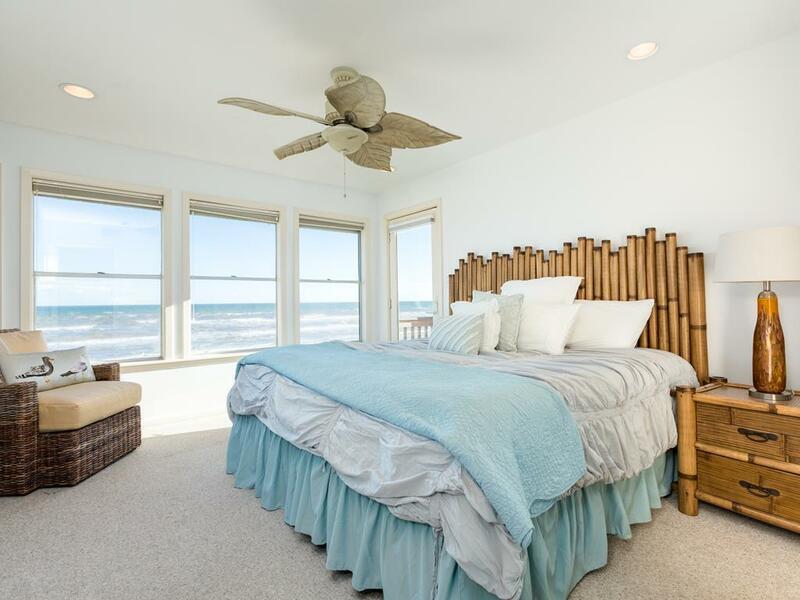 The beds are nice and comfortable, the furniture is comfortable and appropriate for a beach house, inside and out. The appliances are top of the line. The view was unbelievable. Over the week, we had over 32 family members come through and with all the decks, we never felt crowded. We are glad that you were able to have such a variety of guests visit over the course of the week. Many of our guests have different friends visit each day during their vacations and enjoy sharing their time at the beach! Awesome weekend, very satisfied with Sandy Knoll!!! Wonderful house - the location can't be beat! We did Christmas on the beach this year with our entire family - two grown sons and their wives and our first grandchild. This is an amazing house - modern, well designed, well constructed, right on the water. The layout is perfect for three or four adult couples - each gets their own bedroom suite with king or queen bed and adjoining bath. Plenty of space and great kitchen. We will be back! We had four sets of family/friends during our visit, and the house was plenty large enough for everyone to have their own space. Having a bathroom for each bedroom was a definite plus and the bathrooms are so roomy. 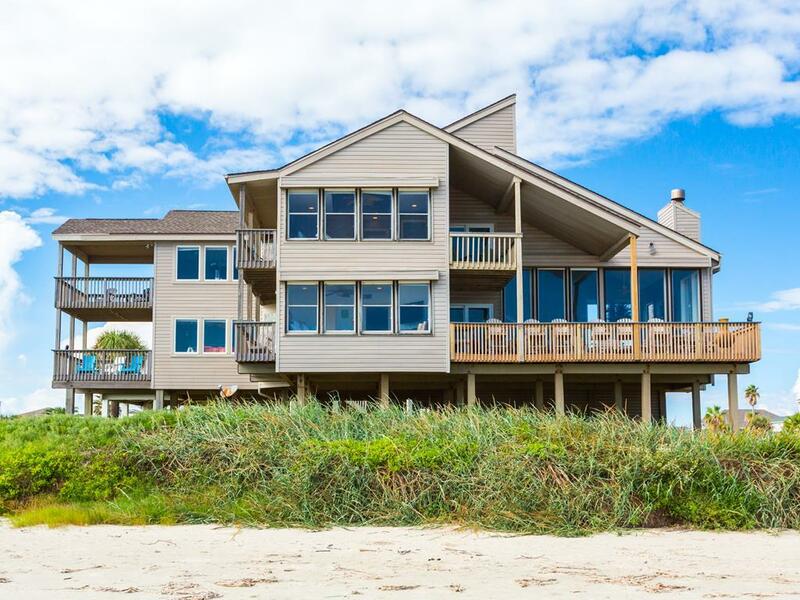 The view of the beach is incredible and we had a perfect visit - great house, great weather, and great fishing! This trip will be hard to beat! 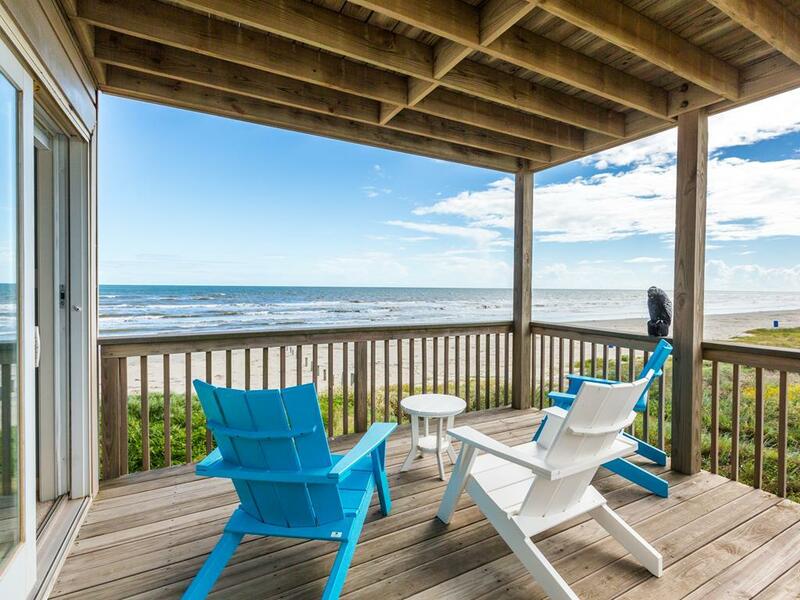 Sandy Knoll is beautifully decorated and close enough to the beach that you could see and talk to the others. Everyone loved the privacy of their own bathroom and patio with each bedroom. You could hide away or let a child take a quiet nap, or you could come out in the spacious living areas. We loved it..our favorite rental home ever! Great beachfront property for a large family. Each bedroom having its own bathroom was great since we had all the grand kids plus their parents. Great for large family. Very comfortable, kitchen stocked well and excellent bedroom and bathroom sizes . Can't beat the view. We had an incredible time in Galveston for our family weekend. This house was the perfect size for all 17 of us (including 8 children)! The location could not have been better. We were able to go to the beach and enjoy the beautiful weather and there was no sand in the car because we could walk! The views from the balconies were perfect and a great escape from our crazy hectic city lives. 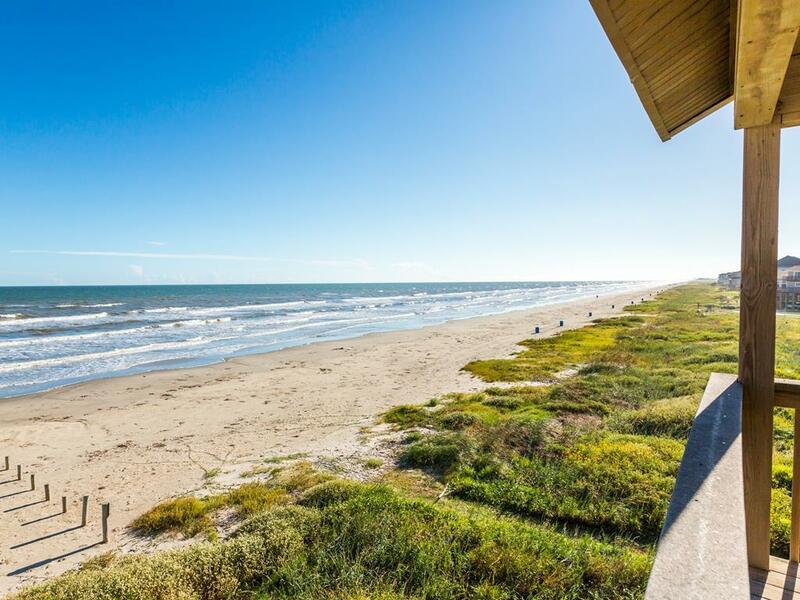 Sandy Knoll was an awesome beach house. A bathroom per bedroom was great. 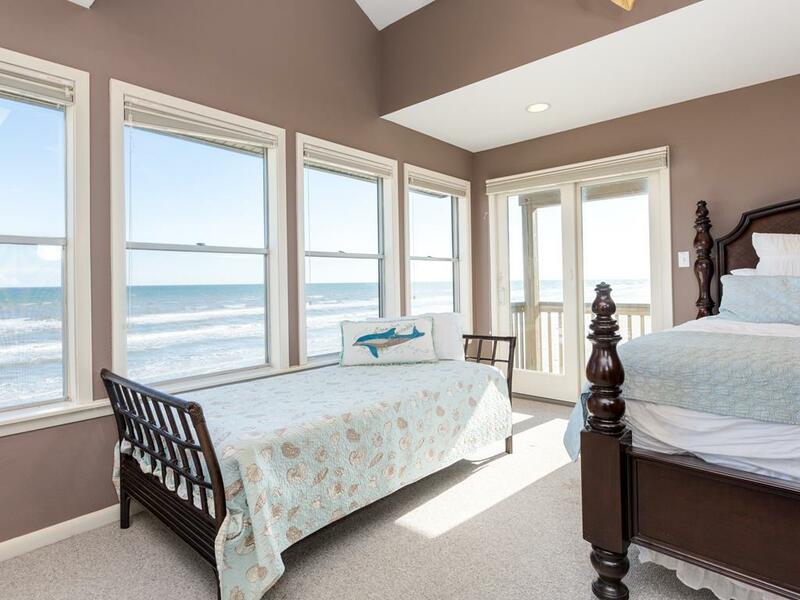 A view of the ocean from every bedroom was a plus!!! There was plenty of lounging space for "me time" and "group time". 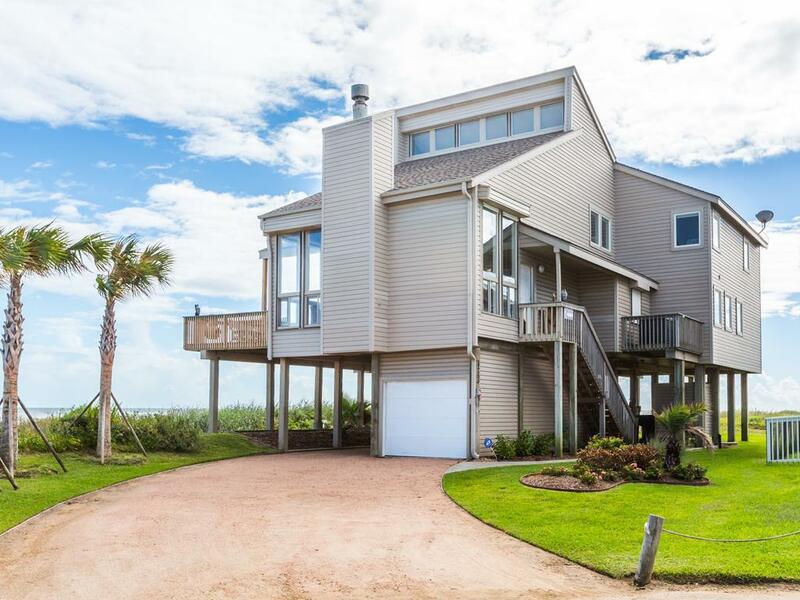 We will definitely choose this beach house again. The oven was broken. Sand n Sea sent a repairman the same day, unfortunate he was unable to repair the oven. Sand n Sea provided a portable oven, which was nice. Everyone had a wonderful time. This is a first class property. 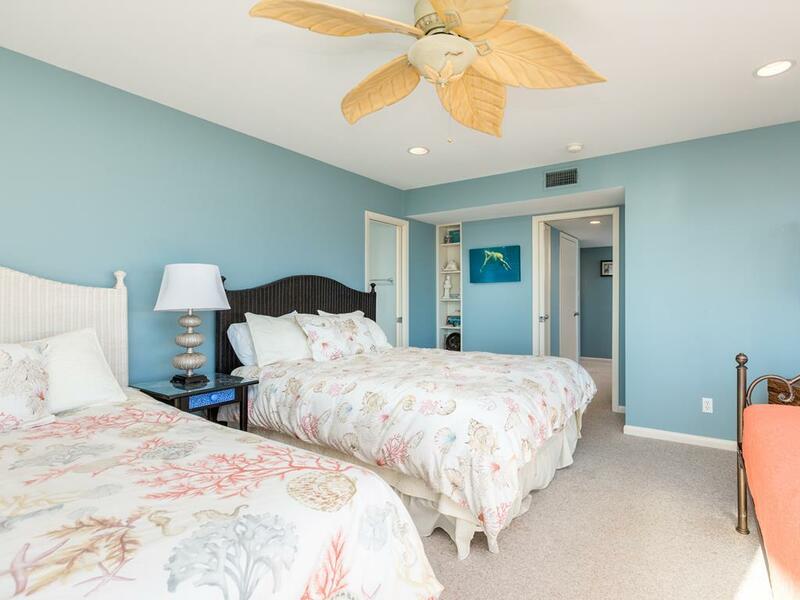 It is right on the beach and has excellent rooms. We would rent it again. We had our family reunion and early thanksgiving there.. The weather was terrible but we still had fun. The bedrooms are very good and areas can be shut away to make it quieter for sleeping babies.